Noted tactical seismologist and Quantum Technology Sciences CEO Mark Tinker, Ph.D. will serve as a featured speaker on “Integrating Practical Technologies to Overcome Challenges in Physical Infrastructure Protection” during Grid Resilience and Security, a Marcus Evans conference. 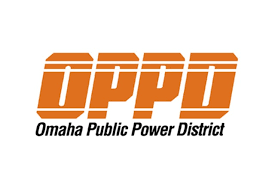 On July 14, 2016, Tinker will participate in an interactive securitytechnologies panel discussion along with Duke Energy Managing Director of Enterprise Protective Services Darren Myers and Omaha Public Power District Manager of Emergency Preparedness and Business Continuity Dennis Snook. Tinker will provide insight into new technologies, which raise operational efficiency, mitigate risk and strengthen security through increased situational awareness for electrical utilities. He was asked to join the panel based upon his experience leveraging seismic-acoustic sensing technology to safeguard highly valued assets, critical infrastructure, borders and other assets vital to national defense. Quantum Technology Sciences designs and sells covert perimeter security products which instantly detect, classify and alert to pedestrians, vehicles, digging and gunshots well beyond the fence line of an asset. Tinker received his Bachelor of Science in Geology from Trinity University in San Antonio, Texas. He earned Master of Science and doctoral degrees in geophysics from the University of Arizona in Tucson. The focus of his research was on Nuclear Explosion Monitoring and Deep Earthquakes. Through case studies and panel discussion with experience peers, attendees will share lessons learned and strategies to improve system response to a cyber or physical breach via robust planning and protocols in place. The delegation will return home strategies to enhance drills, revitalize communications with internal and external publics, leverage mutual response and reinforce physical cyber security defense. This premier Marcus Evans conference will discuss how to improve drills, leverage mutual response, enable strategic communication, and apply pertinent technologies to enhance security and resiliency efforts. Case studies and panel discussions with experienced peers will share lessons learned in the preparation for and the aftermath of cyber and physical attacks. The delegation will return home with a better understanding of the standards, systems, and processes used in the event of threats. Learn more and register at http://bit.ly/28Lddsi.